Fixing is very easy as they are surface fixed with screws to the frame and the door. They can also be used in a bio folding situation. They are similar to H-hinges but with one strap shaped like the letter L and can be used where a door is maybe a bit heavier or has undergone repair. 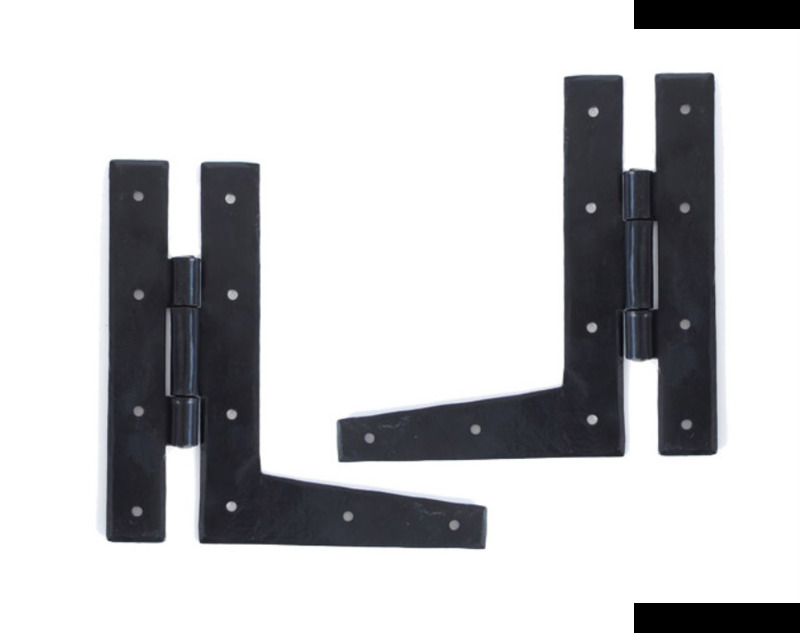 These hinges are commonly used on cabinets, shutters and kitchen cupboards.